DALLAS, January 17, 2019 — Active kids learn better. When kids are active, they focus more, think more clearly, react to stress more calmly and perform and behave better in class. The US Department of Health and Human Services’ 2018 Physical Activity Guidelines for Americans show that kids ages 6 to 17 years who are physically active improve cognitive function and have heathier weight, lower cardiovascular risk and fewer symptoms of depression. 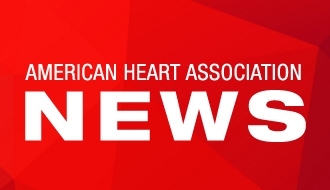 With a common interest in influencing those positive health outcomes, the American Heart Association and the American Dance Movement initiated a national collaboration. Through the Association’s Kids Heart ChallengeTM, students across the nation will receive specially-designed content, created to be integrated into existing classroom lesson plans, using dance as one way to motivate students to make healthier life choices. Participants are led by celebrity dancers Stephen “tWitch” Boss, Allison Holker, sisters Maddie and Mackenzie Ziegler, Bailey Sok and Tahani Anderson via three videos produced by the two organizations for schools participating in the American Heart Association’s Kids Heart Challenge. The videos are packed with cardio-pumping dance steps to help students move their way to heart health through step-by-step dance routines. In addition, the American Heart Association and American Dance Movement will co-host special dance celebrations for the three schools that raise the most funds through the Kids Heart Challenge. These celebrations will also feature special dance celebrity guests. The Kids Heart Challenge encourages heart-healthy behavior as students pledge to be more physically active, drink more water and do a good deed. For teachers, the Kids Heart Challenge offers four activations to get students’ hearts pumping: jump rope, basketball, dance and an obstacle course-style event. The program is celebrating the Association’s 40th year working in schools with exciting new content that meets the changing needs of today’s youth and educators and helps prepare kids for success through physical and emotional well-being, all while fundraising for the American Heart Association. More information about Kids Heart Challenge is available online at heart.org/kidsheartchallenge. Educators and Kids Heart Challenge coordinators may also join the new Kids Heart Challenge Facebook group to share stories, best practices and event successes. To learn more about other school programs, or to make a donation to the American Heart Association, please visit www.heart.org.